The General Course takes participants through three 30-minute units of impactful content based on industry-leading research and evidence. The impact of this course was recently studied as part of the Victorian Government’s two-year Recruit Smarter project, which found that it increased participants’ confidence and intentions to engage in diversity and inclusion behaviours and that the strength of this confidence and intention correlated to an increase in diversity and inclusion behaviours back on the job. 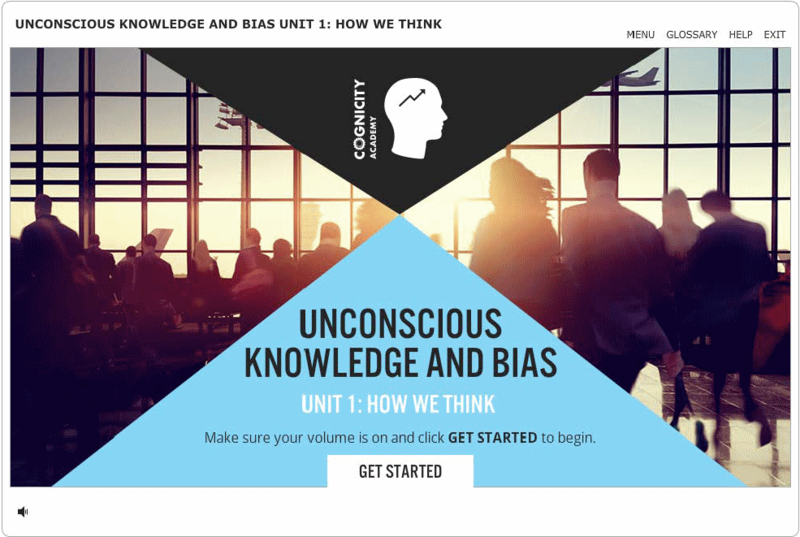 In Unit 1, participants are introduced to the concepts of unconscious knowledge and unconscious bias, where does it come from and the impacts of unconscious bias. 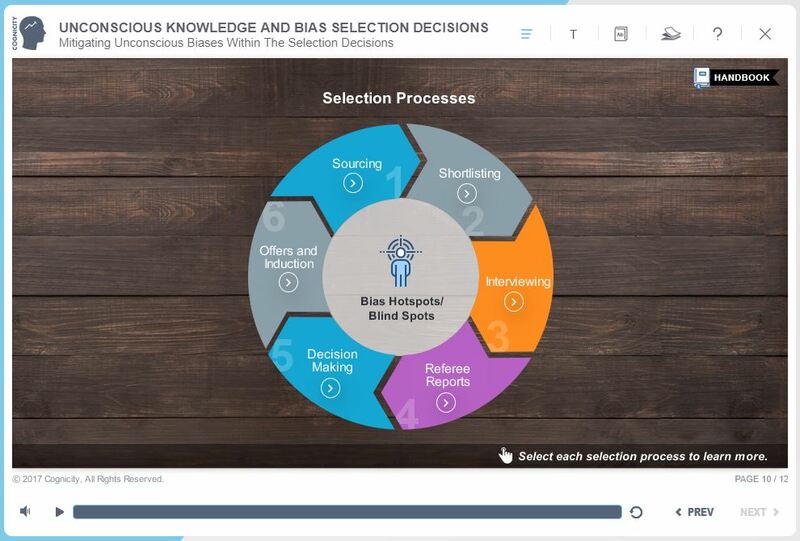 In Unit 2, you’ll discover the different types of biases and how they can impact on business and decisions. Part of this e-learning course also includes the Unconscious Knowledge Assessment and detailed feedback of your results. Unit 3 provides strategies for reducing bias in the workplace. It allows you to identify bias hotspots, to understand strategies at the individual, team and organisational levels, and provides an action plan template. The validity of recruitment and selection processes is critical to the successful functioning of organisations, but there is strong evidence that these processes are highly susceptible to a range of unconscious biases that undermine their validity. The purpose of this 45-minute module is to make you aware of how our unconscious bias can impact the end-to-end processes from branding and advertising through to making the offer and induction, and to provide you with a range of strategies you can apply on the job and when recruiting and selecting for tasks and roles. Leaders make many judgements and decisions that impact on the performance of organisations as well as their personal effectiveness. Unconscious biases have been shown to be a source of poor judgements and decisions. 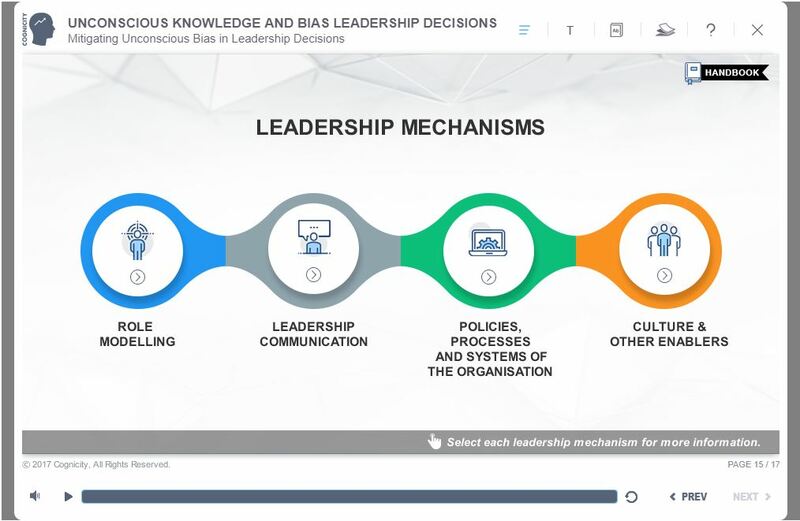 This 35-min module equips leaders to not only mitigate unconscious bias in their decision making but also to minimise the effect of unconscious bias on the decisions and productivity of their teams.